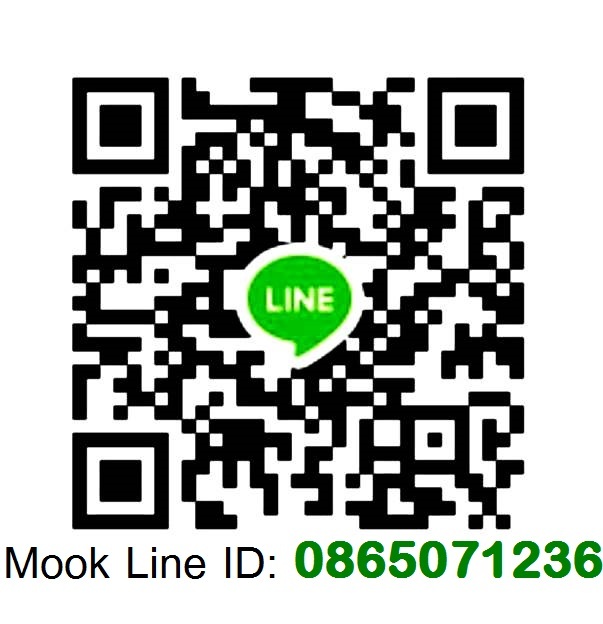 ขนาดภายนอก 135 x 500 x 275 cm. 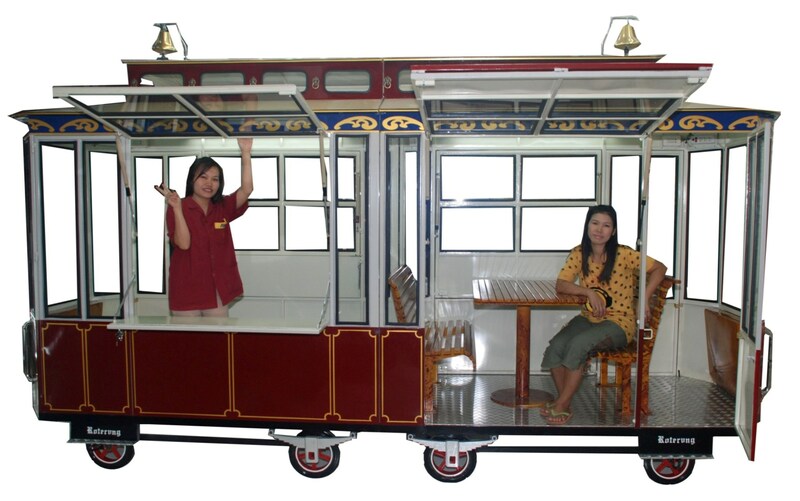 Extra Large Scale or Kiosk-pushcart with tramcar look. 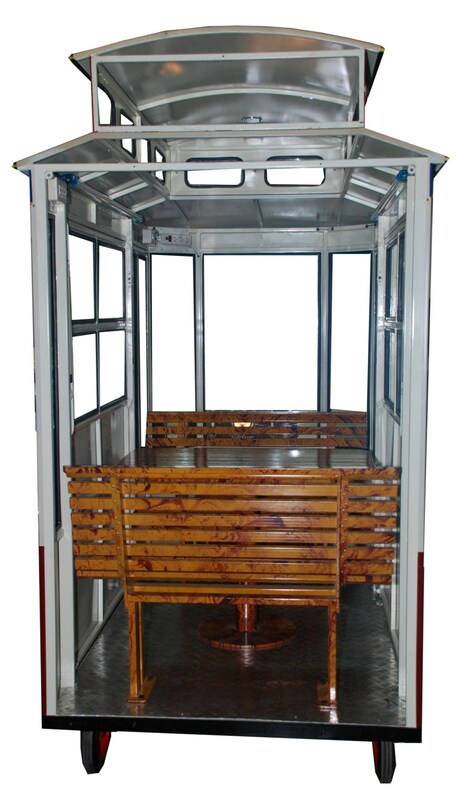 Suitable as a small food & beverage restaurant or a coffee shop with very appearance. It also can be used as a part of backdrop, prop or photo station in the events such as wedding, grand opening the products and so on. Sometimes, it can be located at attractive area such as hotel, resort or community mall for decoration and photo point. 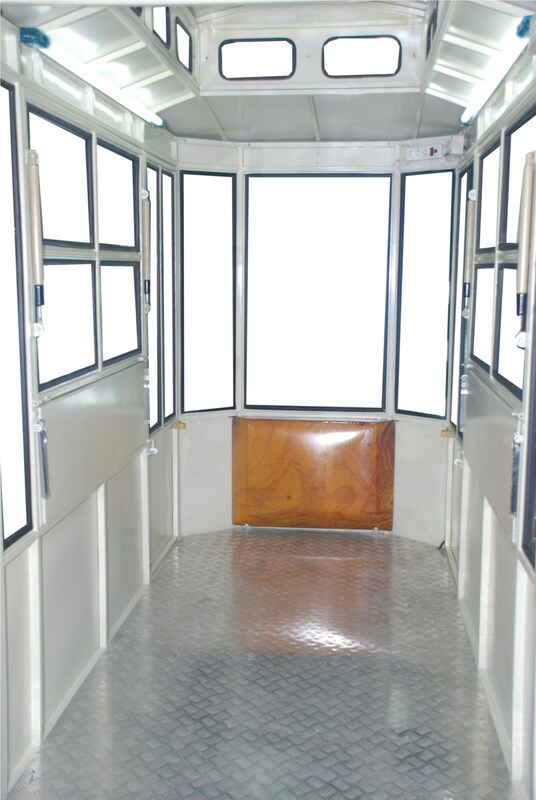 It can be separated into 2 carts for transportation purpose. Table Set is a additonal option that isn't included in the standard price. 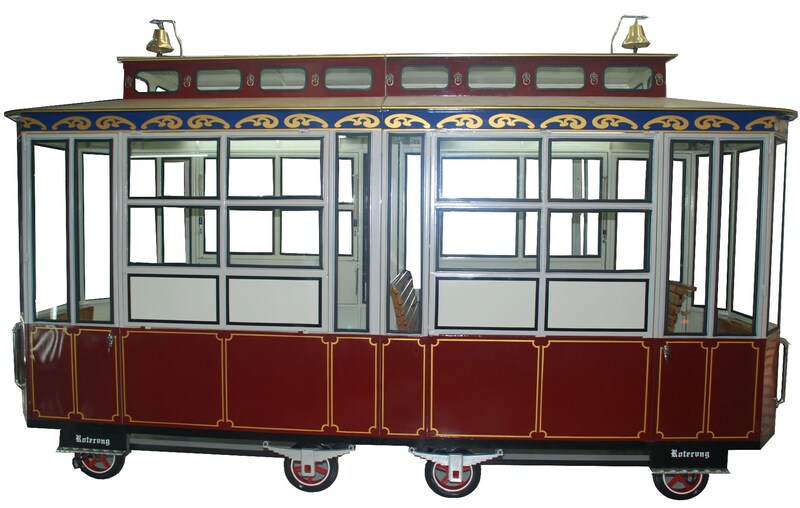 Tram, streetcar or trolley systems were common throughout the industrialized world in the late 19th and early 20th centuries, but they disappeared from many cities in the mid-20th century. In recent years, they have made a comeback. Many newer light rail systems share features with (or utilize) trams, although a distinction is often drawn between the two, especially if the line has significant off-street running. 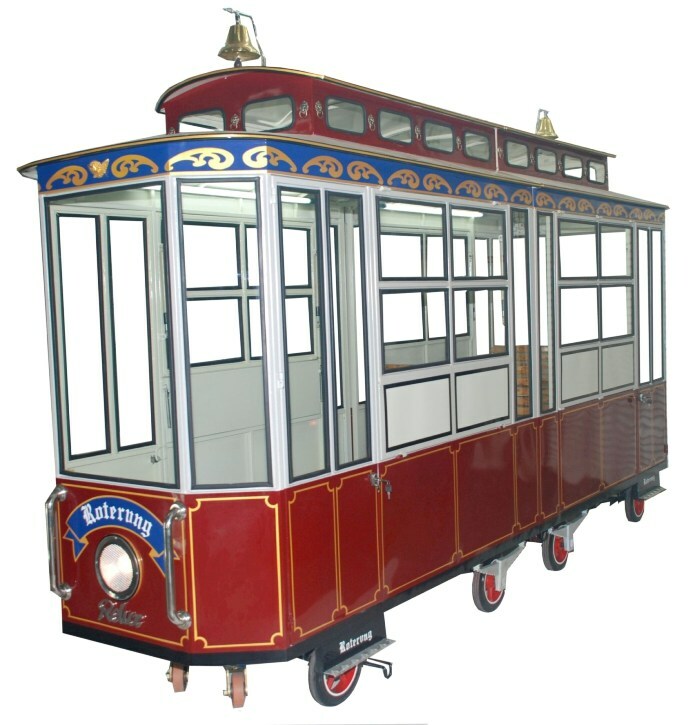 The first tram was on the Swansea and Mumbles Railway in south Wales, United Kingdom. Horse-drawn at first, it was later powered by steam and electricity. In 1804, the Mumbles Railway Act was passed by the British Parliament, and the first tram (similar to streetcars in the US some 30 years later) was established and started operating in 1807. The first streetcars, also known as horsecars in North America, were built in the United States and developed from city stagecoach and omnibus lines that picked up and dropped off passengers on a regular route without the need to be pre-hired. 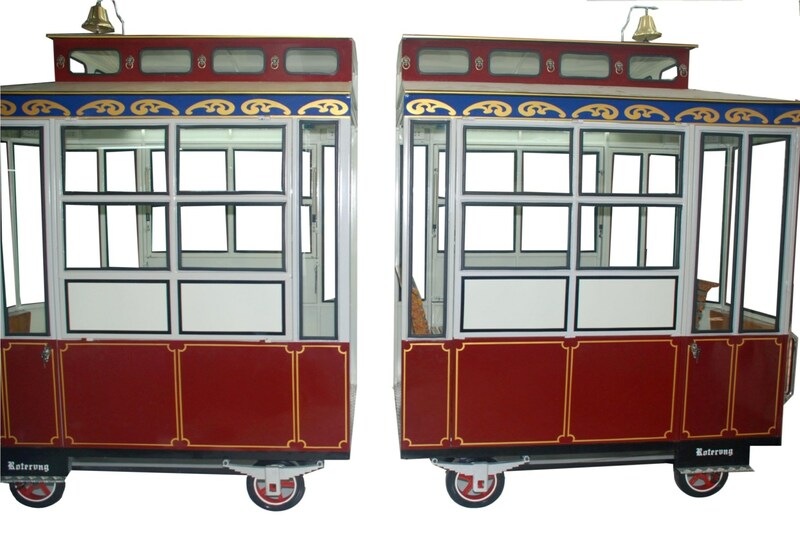 These trams were an animal railway, usually using horses and sometimes mules to haul the cars, usually two as a team. Occasionally other animals were put to use, or humans in emergencies. The first streetcar line, developed by Irish-American John Stephenson, was the Fourth Avenue Line of the New York and Harlem Railroad, which began operation in 1832 along Bowery and Fourth Avenue in New York City. 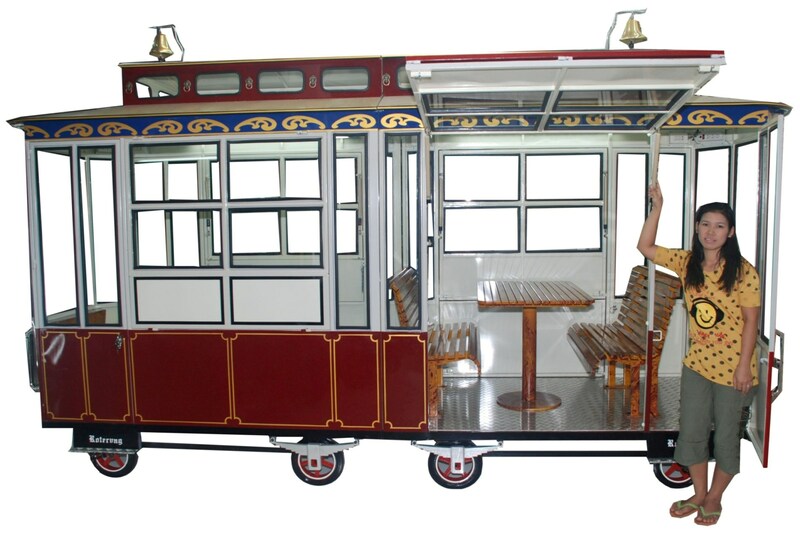 A streetcar line was established in New Orleans, Louisiana in 1835, which is the oldest continuously operating street railway system in the world according to the American Society of Mechanical Engineers. In 1883, Magnus Volk constructed the Volk's Electric Railway, a 2-ft gauge system along the eastern seafront in Brighton, England. This 2 km (1.2 mi) line was re-gauged to 2 ft 9 in (0.84 m) in 1884 and remains in service to this day as the oldest operating electric tramway in the world. The first electric street tramway in Britain, the Blackpool Tramway, was opened on 29 September 1885 using conduit collection along Blackpool Promenade. After 1962, this remained the only first-generation operational tramway in the UK — it is still open. In Sarajevo first tracks were laid in fall of 1883 and first horse-drawn tram entered service on 1 January. 1884. Eleven years later, on 1 May. 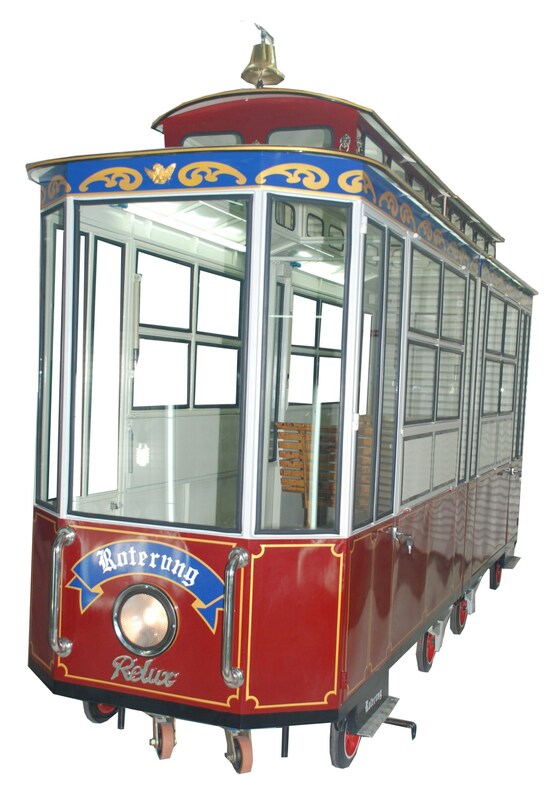 1895, electrical tramway replaced horse-drawn. Electric trams run in Budapest since 1887, and this first line has now grown to be the busiest tram line of Europe, with the tram cars following each other at an interval of 60 seconds at rush hour. Bucharest and Belgrade ran a regular service from 1894.